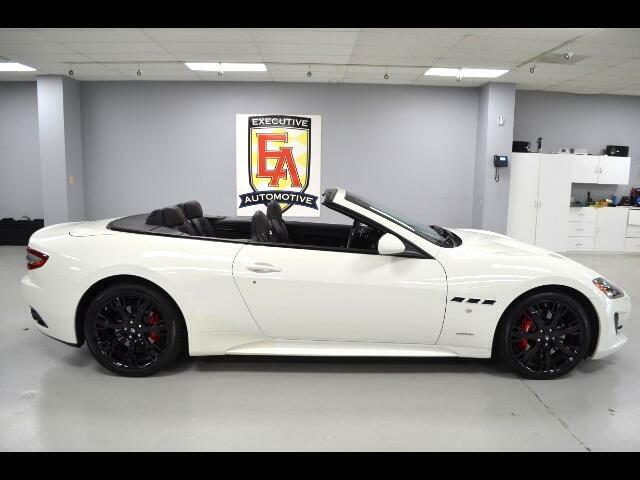 2016 Granturismo Convertible Sport, White with Black Leather, Options Include: High Gloss Interiors, 20" Glossy Black Neptune Wheels, Carpet Piping, Trident Stitch Head Restraint, Stitching for Internal Areas, Windstop, 454 HP 4.7 Liter V-8 Engine, 6-Speed Automatic Transmission, Multi-Layer Power Soft Top, High-Performance Braking System, Bi-Xenon Headlights, Multimedia System with 7" Screen, Navigation System, BOSE 11-Speaker Surround Sound System, Paddle Shift, Front/Rear Parking Sensors, Driver Memory Seat, Bluetooth Connection, Heated Front Seats, Steering Wheel Audio Controls, Dual-Zone A/C, CD Player, Cruise Control, Universal Garage Door Opener, Power Windows, Power Locks, Power Mirrors, Power Telescopic Steering, Power Fold Mirrors and more! Contact Kyle Porter at 816-616-2500 or email: kyle@executiveautomotive.com for additional information. Thanks for your interest in our Maserati!